The Police were an English rock band formed in London in 1977. For most of their history, the band consisted of Sting (lead vocals, bass), Andy Summers (guitars) and Stewart Copeland (drums). 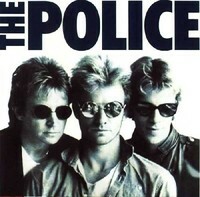 The Police became globally popular in the late seventies and is widely regarded as one of the first new-wave groups who had success with the general public.